We see examples of co-parenting in the movies quite often, and to be honest, there’s usually a lot of bickering, jealousy toward a new partner, and a kid who is acting up in school. Now, that’s not to say that all of these things don’t sometimes happen when parents decide to part ways, but it doesn’t have to be the case. Tammy Daughtry, founder of Co-Parenting International, marriage and family therapist at the Center for Modern Family Dynamics, and author of Co-Parenting Works! Helping Your Children Thrive After Divorce, agrees. It’s Daughtry’s own divorce that prompted her to launch Co-Parenting International when she began looking for what she calls “life-giving, healthy solutions” toward her own co-parenting journey. The organization provides live events, seminars, classes, books, DVDs, and digital content for parents. Although, she says if possible, parents benefit most from talking with other parents in meetings or a casual environment. “Being intentional and connecting with other like-minded parents who are trying to find their way through the challenges of divided households can be a very positive part of transitioning from the past to building a solid and well-adjusted future," Daughtry says. And she practices what she teaches, considering she has successfully co-parented for 17 years (including being a stepmom to three kids who now have children of her own). 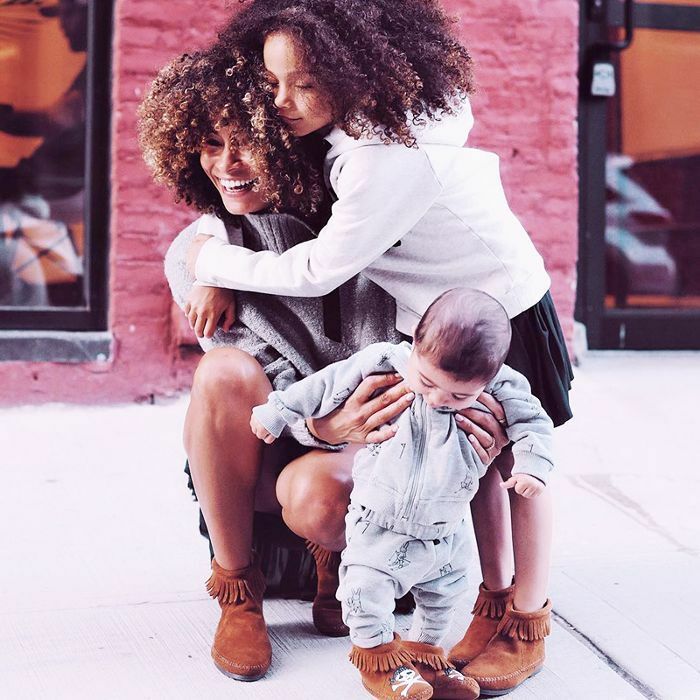 Below, Daughtry has graciously shared everything you need to know about raising a child in two households, plus the crucial co-parenting tips she has learned over the years. The expert says she points parents toward being “cooperative colleagues” who communicate about the important decisions related to their children. These parents give the children the emotional freedom to love and enjoy their relationship with each parent, and they act appropriately when they are all in the same space—whether that be school functions, drop-offs, or doctor visits. Healthy co-parents verbally support one another and do not try to undermine or dismiss each other’s input or perspective, plus they recognize that although they may disagree about how they handle matters within their respective homes, they do not “get back at” the other household, says Daughtry. How should parents resolve problems? There isn’t just one way for parents to come to a resolution when they disagree, and Daughtry says legal mediation or working with a neutral third party or family therapist (who has the best interest of the child in mind) can be helpful. She says that depending on the situation, she also encourages parents to engage with current parenting books and resources relevant to the age and stage of their children’s development (these resources can be found at family counseling centers or even through a pediatrician’s referral). “In the bigger picture, it is always important to assess the children’s safety in three areas: physical, emotional, and sexual,” explains Daughtry. “As long as a child’s safety is not being compromised, bio parents may have to agree to disagree and have varied dynamics between households." How do you factor in stepparents or significant adults? Daughtry says that when either bio parent moves into a significant relationship where the children are spending time with that person (or when they become an official stepparent), it is always ideal that the bio parent meet that person away from the kids. Although it can be awkward and uncomfortable for the adults, it is best if they can at least meet for coffee so that they can be relaxed when they are together in the future. In an ideal world, the new person who is becoming part of the co-parent team would come in with a humble attitude, not taking the place of the bio parent or being in conflict with the bio parent, but simply being another adult to have a positive relationship with the child or children. What are some signs your co-parenting isn't working? According to Daughtry, some of the signs include your child acting out in school, having a significant drop in grades, or losing a sense of joy in their lives. “Often, kids are carrying emotional stress and confusion that they do not know how to talk about or externalize,” she says. If a child seems to have become withdrawn or has a drastic change of personality and involvement in common activities, she recommends getting the child to a therapist or a school counselor where they can talk and feel safe to share whatever is holding them down. A fact of the matter is that sometimes kids don’t feel like they can talk to either parent because they don’t want to trigger their anger or their sadness, so they try to manage it alone. “But kids need a safe place to share their confusion and questions, their anger and disappointment with the realities they are experiencing,” says Daughtry. It’s key to find an age-appropriate specialist (play therapist for younger kids, teen specialist for middle school and high school) because even if nothing is “seriously wrong” it is still a healthy experience to have a neutral and safe party to talk to. There is never any instance where this is okay because children will internalize the negative words and it will impact their own self-esteem negatively, says Daughtry. “They will also remember 20 years from now which parents spoke well (or harshly) about the other,” she says. So don’t be the negative one. And don’t just say them once; say them to your kids on a regular basis. “These positive attributes will build their self-esteem and help them know it is okay to love the other parent,” says Daughtry. It can be as simple as “your mom is great with money” or “your dad has always been a great cook, and I am glad you can still enjoy his meals.” This process is all about finding simple yet authentic ways to say something positive about the other parent so your kids can enjoy looking up to (and being proud of) them. As the saying goes, timing is everything. Drop-off is not the time to talk about schedules, finances, or any of the business of co-parenting, says Daughtry. You should keep the handoffs simple, positive, and easy for the children—make eye contact with the other parent, be cordial, and remember that this is probably the most awkward part of the week for your children. It’s often best to keep it quick, and Daughtry suggests doing the exchange at a local park or restaurant where there are other people (this can help you avoid getting into anything negative). You want to make sure to keep your communication separate and away from the children. These meetings can take place by phone when the children are not around or in person at a local coffee shop (keep the meeting place neutral). Daughtry suggests planning for a one-to-two-hour session and treating it like a business meeting: Decide ahead of time what the one or two most urgent topics are to discuss, and try to stay on point and focused. What if the meeting gets heated? Take a pause and reschedule. “It may take some time to get in a rhythm of having respectful communication, but it is critical that parents work together away from the kids’ presence to make all the decisions necessary,” says Daughtry. Encourage their relationship, and do not get in the way. Daughtry suggests something as simple as encouraging your child to keep a photo in their room of the other parent. “When kids have a strong sense of attachment to each parent, they will thrive and do well in all aspects of their lives,” she says. When you verbally affirm their other parent and the love they share with that parent, it will enhance your child’s security in a very powerful way. Don’t get defensive or territorial. Instead, see the new person as a potentially positive person who will make a good contribution to your child’s life, suggests Daughtry. Honor and respect the stepparent and set a good example. Do not allow any of your family or friends to speak negatively of your child’s other parent, says Daughtry. You need to protect kids from anyone who may have a history of being negative about the situation. Yes, you can have adult conversations regarding questions or concerns about your ex, but do not allow extended family to be negative about the other parent in front of your little one. “Forget December 25—Christmas and other significant holidays can be enjoyed 365 days a year,” says Daughtry. You don’t want to put piles of stress on the children to be with you every Hanukkah or every birthday. When they look back on their childhood, they will never remember the date they opened gifts and celebrated, says Daughtry. It’s key to let them enjoy both sides of the family around the holidays, guilt-free. With these new tools in hand, you’ll undoubtedly be able to tackle any co-parenting questions or concerns that come your way. At the end of the day, it’s all about keeping your child happy and healthy, and you’ve already taken the first steps.